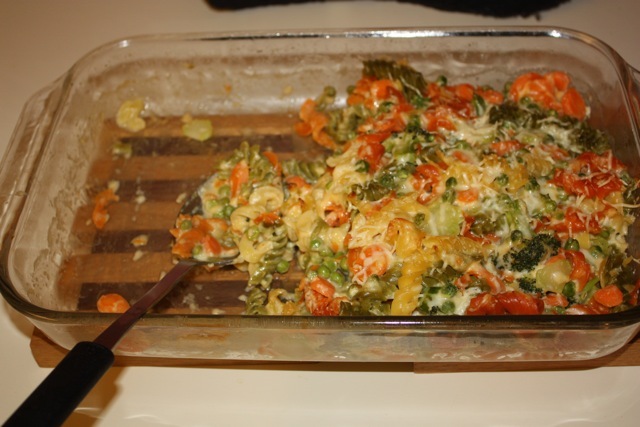 The kids wanted mac and cheese, but being tired of yellow stuff, I found this Vegetable Mac and Cheese recipe. We used the Ronzoni Garden Delight pasta which supposedly has a serving of veggies. The kids loved it.